This blog suggests we are not effectively distinguishing between these two questions, and this may undermine the effectiveness of the investigations now under way. We cannot fail to be aware of the daily developments in relation to the Grenfell tower. I spent my whole childhood less than two miles from the Grenfell Tower, in the communities of Shepherds Bush, and understand that the community want people and organisations to be held publicly responsible for what has happened. Alongside this desire to allocate responsibility, we also need to ensure we act promptly to ensure nobody else suffers in this way. It is easy to assume these are the same question, but these two questions may require very different approaches to ensure they are answered effectively and quickly. Air accidents face the same problem – identifying causes and allocating blame, and have the same time pressures. There may be lessons for this sort of disaster investigation in the way air accident accidents are handled. For air accidents there is an agreed international approach, which aims to assess technical issues in a collaborative manner so as to keep or restore safety as fast as possible, and provide immediate support to those affected. It separates this from questions of liability. This increases the honesty and transparency of the investigation of the causes, and focuses on quickly identifying what needs to be done to ensure planes continue to be safe, public confidence is restored and changes are made. In relation to the Grenfell tower, there is much media discussion about causation, and evidence that investigators are at work (although it seems the criminal and causation work is being done as one investigation), but it is not clear whether the dramatic actions of other authorities is being informed by the causation investigation, as no interim findings are being published and the process lacks transparency and therefore trust. This is in complete contrast to the air accident process. When a plane crashes anywhere in the world an internationally agreed process comes into operation with a clearly identified lead investigating body. For the UK this is the Air Accident Investigation Branch (AAIB). Airlines all over the world tend to ground all planes that might have similar features as the one involved in the accident. So there is pressure on the AAIB to identify the causes, and solutions quickly to get planes flying again, safely. The investigation starts promptly and works in a model of open collaboration between all the parties possibly involved. The focus is upon identifying the causes and finding technical or procedural solutions rapidly– so that aeroplanes can resume flying. Liability conversations follow. But the process draws a sharp division between the collaborative and rapid causation investigation, and the more defensive liability investigation. The latter applies normal criminal and civil litigation processes, and can lead to parties at risk being closed, secretive and defensive. It takes considerably longer. By separating the processes the evidence shows potential parties to future litigation are willing to disclose material to the causation investigation which they would be reluctant to disclose in litigation. ‘The sole objective of safety investigations should be the prevention of future accidents and incidents without apportioning blame or liability’ [rec (4)]. The Regulation identifies a public interest in preventing future accidents that goes beyond the individual interests of the parties involved in the specific event. It positions this as being a first step, not the sole step, with liability following. This requires some nifty footwork to create that climate of open collaboration – for example, steps are needed to ensure information provided during an air safety investigation cannot be used in subsequent liability actions, civil or criminal. Its aim is to identify causes, the risks of recurrence and associated solutions and disseminate that information quickly to anyone who might be able to prevent future accidents. The Paris Concorde crash illustrates the radically different timescales these two processes can engage. The accident investigation was published within 18 months. The criminal investigation began five years after the accident and took another seven years to reach a final conclusion in the appellate court. When Air France AF477 crashed en route from Rio to Paris in June 2009, for example, the first air accident report was issued within a month of the crash – containing all the data known at that stage, with further reports following as more evidence emerged. The decision to prosecute Air France was announced in 2014. The process was seen as one of sharing information openly as it emerged. That increases the ability of others to take remedial or preventative action and gives confidence to those looking for answers. 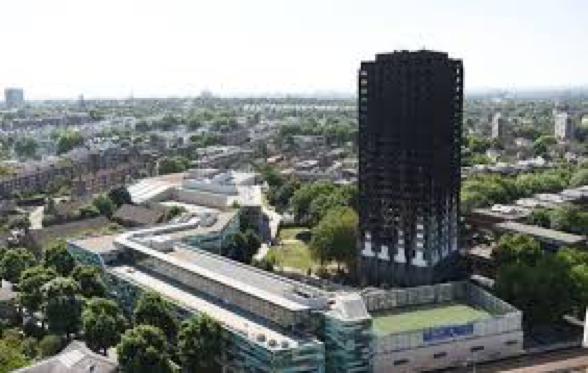 Contrast this to Grenfell, where it has taken 15 days to find an Inspector, and we may not even have the terms of reference for the inquiry in a month, let alone any published evidence. The remit for the Inquiry set up into the Grenfell Tower has yet to publish its remit. It seems as if the Chair, Sir Martin Moore-Bick is considering a phased approach. Let us hope he looks at the way air accidents are investigated, and the significance of the distinction between causation and liability. This is surely a case where we need the technical and procedural causes identified quickly, openly and without prejudice to the liability investigations. and national and international action can be taken to save lives elsewhere. Separately, the inquiry can then consider liability. If the terms of reference run the two together, the evidence from past inquiries is that lawyers and the risk of civil and criminal liability will inhibit openness and delay everything. At present, there is a risk that the technical causation investigation is not being conducted transparently. With local authorities and others investigating various other properties, but without public clarity about what the problems might be, this can cause worry and uncertainty which may or may not be well founded. An open, collaborative causation investigation, with interim reports, would at least allay some fears. We owe duties to the victims, their families and their community to help them through the trauma and then to allocate responsibility. But, as the Air Accident Regulation reminds us, we also have a duty to the public to prevent future accidents and like the initial help to the victims, that requires a timely response.